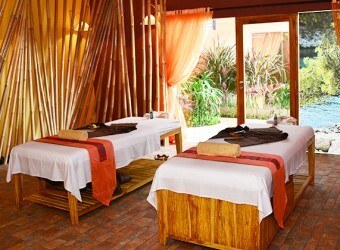 Bali Spa Kupu-kupu Seminyak has been open in Oberoi street in Seminyak where the most popular area in Bali now day. 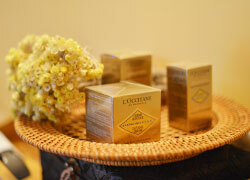 Spa en provence is in Kupu-kupu seminyak that produced by L'OCCITANE. L'OCCITANE is one of the well known cosmetic brand in Europe, and its really great quality cosmetic. 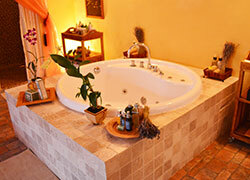 You could fall in love to their beautiful smell product and spa atmosphere. Reserving Spa en Provence’s menus with special discount prices requires a payment made via our Japanese bank deposit transfer in 7 days advance. Based on the Spa regulation, if the payment hasn’t been done by 7 days before of your reservation, it will be canceled. 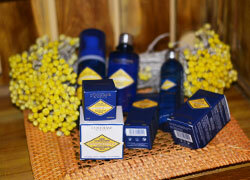 L'OCCITANE is a brand of cosmetics mainly on the plant raw materials of the France Province birth. The Roch rose wood is a brand of cosmetics mainly on the plant raw materials of the France Province birth. Places using only the natural material such as the essential oil which is pure in deference to person / animal / nature or the vegetable extract are characteristics. Produced Shea, Immortelle, Almond, Aromachologie, the he best, the ranges of the fragrance merchant with the traditional technology and raw materials of the Mediterranean Sea coast in sequence. Based on the range, it produces cosmetics (skin care, body care, bus care), fragrances (fragrance) and sells it. The sacred shea tree grows far from Provence in Burkina Faso, Africa. An incredibly rich, universal skin treatment, shea butter provides special and tender care for dry skin. Only the local women are entrusted with the secrets of shea butter preparation and only they benefit from its trade, which is why it is called “Women’s Gold”. L'OCCITANE’s long-standing partnership with this women’s cooperative assists them in building a stable future for themselves and their family. The package that if you purchase product for IDR 750.000 you can get 45 minutes body massage! The package that if you purchase product for IDR 1,50.000 you can get 90 minutes body massage! Using our Shea Ultra Rich Scrub, containing 5% of Shea Butter and Glycerin which are a gentle exfoliating, this treatment will effectively remove dead cells. As a result, feet are left soft and smooth. A repairing care for very dry or overworked feet. 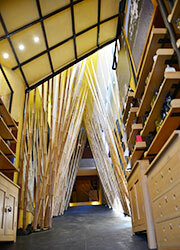 The Nourishing Wrap has been developed exclusively for the L’OCCITANE Spas. While the feet soak up active ingredients that nourish (Shea butter and Grape seed oil), moisturize (honey extracts) and soften (kaolin), a scalp massage ensures a moment of pure relaxation. Using Ultra Rich Shea Hand Cream, this relaxing hand and arm massage specifically targets for dry skin. It will leave your hands deeply nourished. Using Aromachologie Essential Oils, this relaxing massage specifically targets the neck and shoulders to help release tension and stress. Foot Pampering Retreat is ideal for hard working feet. Starting with a foot exfoliation, it is followed by foot reflexology to rebalance and heal the body. While the Nourishing Wrap is on, a relaxing massage will be performed on shoulders and scruff, to promote complete well-being. Pamper and refresh from head to toe. This luxurious treatment includes exfoliation and a nourishing wrap to relieve tired feet and hands. To finish feet and hands will be massaged with our ultra rich Shea Butter cream, leaving hands and feet incredibly smooth. A choice of L’Occitane body scrub will help to keep your skin soft, smooth, healthy and well nourished. This delicious body scrub is a simple process of removing dead skin cells from the skin’s surface, leaving skin perfectly prepared for a treatment or massage. An expert body wrap to tone the skin, stimulate fat release and promote toxins’ elimination. Almond tree bud extract rich in flavonoids to drain excess fluids, is associated to a plant-based complex and Almond proteins to firm the skin and redefine body contours. While the wrap is on, a relaxing foot and scalp massage promotes a feeling of complete well-being. This Shea ultra-moisturizing treatment begins with a Shea Nourishing Scrub containing 5% of Shea butter and walnut shell powder to gently remove dead cells and smooth the skin. The Experience then continues with a Provencal Bath and our Aromachologie Relaxing massage, followed by the application of Shea Body Lotion to deeply nourish and protect the skin. As a result, your body is left satin-soft… like entirely renewed! This Almond slimming treatment focuses on the areas that are the most concerned by cellulite and fatty deposits: legs, stomach and buttocks. The Almond Supple Skin Oil acts on skin elasticity and helps prevent the appearance of stretch marks. Then the patented complex in Delightful Shape combines the contouring, anti-water-retention and anti-fat-storage properties of almond proteins, essential oils and caffeine. As a result, the whole body discovers a lighter-feeling sensation! This detoxifying body treatment will help reduce excess fluid storage in tissues, as well as promote the elimination of toxins, which can be responsible for feelings of tiredness. The Body Tonic Oil and its unique association of almond & cameline oils with red algae extracts and pure essential oils both heighten and prolong the effects of the massage. As a result, body instantly feels lighter and re-invigorated! Enjoy 60 minutes of relaxing Aromachologie body massage based on Swedish effleurages, Chinese acupressure points and long kneading Balinese movements. The heavenly-soft massage experience will bring you to a deep level of relaxation and leave your mind and body totally rested. 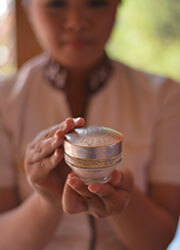 Afterwards, L’OCCITANE customized 75 minutes complete facial will leave your skin glowing with youth and radiance. Your face and body will be left feeling deeply rejuvenated! A couple’s delight! 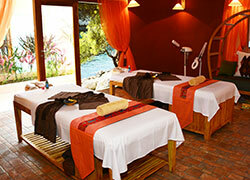 It begins with a 60 minutes Aromachologie Relaxing Massage followed by your desired L’OCCITANE body scrub. You are then invited to relax together in a L’OCCITANE Provencal bath and continue the escape with a 60 minutes customized L’OCCITANE facial. Therapists will analyze your skin type and recommend the most suitable facial line to meet your needs. As a result, your skin is left more comfortable and radiant; your whole body discovers a blissful state of relaxation! 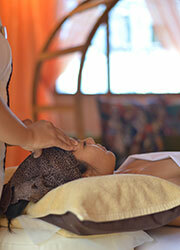 It begins with a 60 minutes Aromachologie Relaxing Massage followed by your desired L’OCCITANE body scrub. You are then invited to relax together in A L’OCCITANE Provencal Romantic Jacuzzi with 2 glasses of wine, continue the escape with a 60 minutes customized L’OCCITANE facial. Therapists will analyze your skin type and recommend the most suitable facial line to meet your needs. As a result, your skin is left more comfortable and radiant; your whole body discovers a blissful state of relaxation! Traditional herbal remedies have been used by the Balinese for countless generations in the belief that these applications warm the body, relieve tired muscles and alleviate minor rheumatic conditions. Therapeutic herbs assist in the removal of toxins from the body and refresh the skin. This relaxing massage is followed by a herbal pounding of the entire body. As the result, the whole body feels refreshed and reinvigorated. This supreme pampering treatment will start with foot reflexology to re balance the body and will be followed by our exclusive signature massage to relax the muscles. As a result your body instantly feels refreshed and reinvigorated. This ritual is combined with our most rejuvenating indulgence treatments to provide you with an ultimate memory. Begin with the body scrub of your choice and indulge in a Verbena Foaming Bath. Your body will be ready to receive our signature Herbal massage. Complete the journey with the facial of your choice. Your whole body feels totally rejuvenated. Ideal for anyone who experiences a lack of energy. Start with a foot reflexology massage to stimulate circulation, followed by a back and shoulder massage to get rid of stress. The refreshing Verbena body salt scrub helps the body feel lighter and refreshed. In addition, our Verbena foaming bath completes this state of complete relaxation. To finish, choose the Immortelle Facial of your choice. As a result your face and body are left firmer, smoother and replenished! Ideal for those who want to get an exclusive experience at Spe en Provence by L’Occitane! The treatment begins with a foot reflexology massage to stimulate circulation, followed by an Herbal massage to refresh the body system. Then a scalp massage is performed with Aromachologie Repairing hair serum to enhance hair radiance. The final indulgence will be completed with an express Facial for your skin type combined with Immortelle eye care for an all over glowing. Swedish effleurages and Shiatsu pressure points are associated to the deep & penetrating warmth of natural basalt stones. The stones are placed on the 7 Chakras – traditionally know as the body’s key energetic points – to improve the flow of energies and help rebalance & mind. Using Aromachologie Essential Oils, this relaxing massage specifically targets the back and shoulder to help release tension and stress. Ideal for persons with muscle pains This massage combines deep thumb and palm pressures, acupressure points and gentle stretching. It eases muscle tension, with a focus on the back, shoulders & neck area. As a result, the whole body feels refreshed and deeply rebalanced. Anti fatigue. This traditional Balinese massage combines palm and thumb pressures to reduce tensions, fatigues, improve lymphatic and muscular system. This massage helps to improve blood flow and ease stress. For stress and Light sleep. Swedish effleurage, Chinese acupressure and Balinese massage technique come together to stimulate circulation, ease tensions & release stress. Aromachologie essential oils – lavender, tea tree and geranium – ensure complete relaxation. The body and mind feel truly calm: sleep can come more easily. Muscle pain and jet lug. This massage combines Lomi-Lomi deep pressures, acupressure points and gentle stretching. It eases muscle tension, with a focus on the back, shoulders & neck area. As a result, the whole body feels refreshed and deeply rebalanced. Just as a stroll on the Mediterranean shores leaves you feeling fresh, fueled with a new energy… Our unique body brushing deeply softens and invigorates the body. This smoothing massage performed all over the body with our signature brushes effectively removes dead cells, rough patches and impurities, and stimulates micro-circulation. Targeted acupressure points combined with gentle palm pressures will then enhance the body’s energy flows and metabolism. As a result, your energy is boosted and skin will be satin-softened. To fight fine lines, dark circles and puffiness and give an instant radiance boost, this treatment features a lifting massage and an immortelle formula specifically designed for the eye area. Perfect after a journey, a night of festivities, or even a long, hard week! It begins with cleanse and tone the skin and followed by our exclusive Lifting massage movement performed to enhance skin firmness and elasticity. This advanced brightening facial is ideal for anyone concerned about sun damages and age spots. It effectively fights pigmentation marks, thanks to specific formulas enriched in derivative of Vitamin C and Bellis Perennis, with a dual action on skin discoloration - both corrective and preventive. At the same time, organic Immortelle essential oil, combined with our signature lifting face massage, delivers strong smoothing and firming benefits. As a result, skin is left incredibly smooth and radiant; complexion looks brighter and more even then ever. This facial delivers unprecedented anti-ageing benefits, treating all signs of ageing – wrinkles, loss of firmness, pigmentation marks, skin slackening, on face as well as the décolleté area that is particularly exposed to the ageing process. Drainage pressure points are more specifically applied on the chin, jaws, neck and décolleté areas, to fight skin slackening and improve face contours. Performed with the Immortelle Divine Cream’s patented formula, rich in Organic essential oils of Immortelle and Myrtle, they help regeneration, promote overall smoothness and firmness, and fight pigmentation marks. As a result, face and décolleté are left glowing with youth: Firm, smooth and perfectly even and replenished! Definitely the must-try facial at L’OCCITANE Spa. The Shea Express Facial includes careful cleansing and followed by our signature drainage face massage to drain out toxin, and stimulates circulation to enhance skin glow and radiance. This facial addresses anyone concerned by dehydration and lack of softness, either due to skin nature or to external aggressions. Combined with our signature drainage massage sequence that enhances the ingredient’s effectiveness by boosting microcirculation, its repairing and hydrating properties will bring comfort and nutrition to skin. As a result, skin is left deeply moisturized and nourished, and discovers a new feeling of comfort. This facial has been designed to meet the specific needs of men skin. L’OCCITANE unique patented complex blends of 3 organic active ingredients - Sea-buckhorn, peppermint and Genepi - is associated with pure spring water from Provence. Combined with the signature drainage massage sequence that stimulates circulation and promotes the elimination of toxins, this facial will leave skin instantly more glowing, re-energized and moisturized. Hydrating and Re-plumping-for dehydrated skin,all age To deliver ideal moisturization,this refreshing facial incorporates 2 organic Angelica extracts:Angelica Water & Essential Oil.Their patented complex helps the skin regain its natural vitality and suppleness.Featuring our signature drainage face massage sequence,it leaves the skin smoother,re-plumped and more radiant…purely glowing with beauty! Please into our bank account 7 days before your departure day.